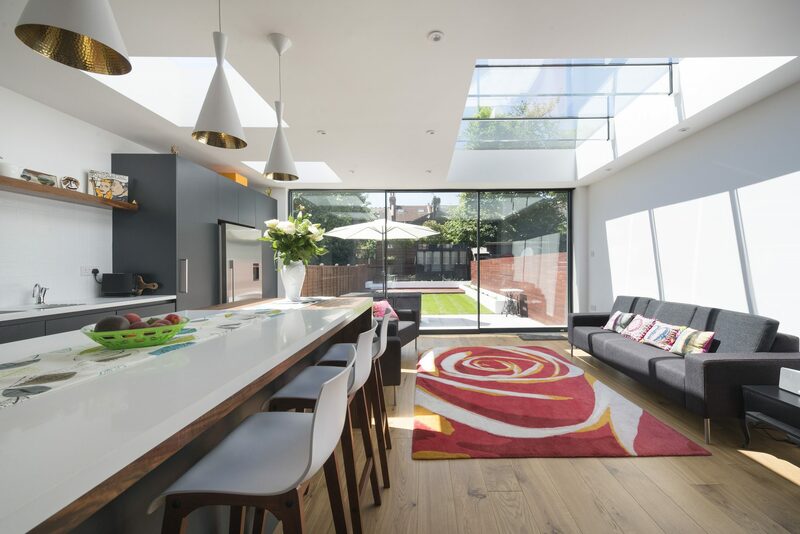 The fixed skylight is a staple feature in many contemporary homes. It allows for a lighter and more efficient living space, creating a modern and stylish aesthetic. This beautifully crafted piece is key to all of the siblings in the Vision AGI range and exceeded even our own high expectations. As standard, our fixed skylights come with 32mm DGU toughened safety glass with low-e coating and warm edge spacer. The warm edge spacer is made of an insulating plastic composite material that becomes a barrier to heat loss, keeping the edges of unit warm whilst the low-e coating allows the suns natural heat to pass through the panes, which in turn is reflected back into the room, making the panels incredibly energy efficient. The rooflights are manufactured with our own 6063-T6 aluminium profile, thermally broken with 32mm polyamide insulation sections to prevent cold bridging and stop condensation. 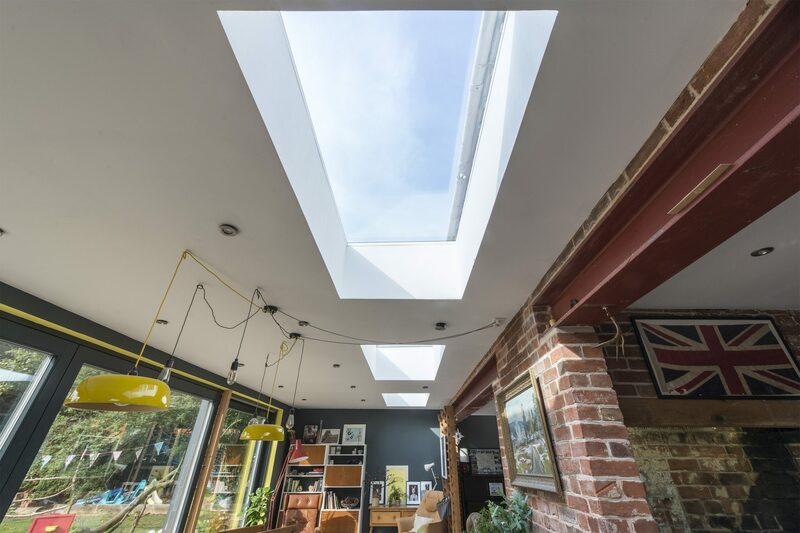 Our fixed skylights come pre-assembled and can be fully tailored to your custom specification, with a variety of optional extras. Options include; Solar Control Coating, Low Maintenance Glass, Self Cleaning Glass, Diffused Privacy Interlayer, External Colour and Triple Glazing. We also include a fixing kit which contains all of the fixings required to install the piece. If you are interested in the fixed skylight, or a tailor-made skylight, then follow the links provided. However, if you are looking for something more bespoke, then please get in touch with us on our contact page.